Do you want to make a contact page in your blog so your readers don't have to leave your website to email you? Give your form a name, like "Contact Me" or "What's On Your Mind?" Create questions, which will be the fields in the form. The three basic questions I use are: Name, Email, and Comments. 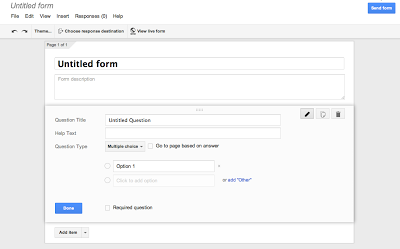 Choose from the drop down menu the type of comment each question requires: Name and Email use "text" comments, and Comments are "paragraph text." You can choose which questions are mandatory. Preview the form by clicking "View Live Form." Go to your "Contact Me" page (or create one) on your blog. (Go to Posting --> Edit Pages). Open the "Edit HTML" tab and paste the code from Google Drive. Preview how it will look on your blog. You can adjust the width of the form at this stage too. Go back to Google Drive and click on your form. A spreadsheet will open. Click Tools --> Notification Rules. Check the box "a user submits a form" and "email-right away." Save. Thanks so much for this! I've found several sets of directions regarding comments and yours works like a charm- you should write cookbooks! Thanks so much, Sylvia. I've been wanting to do this for ages! So have I! I would REALLY like to know how people make ebook and software selling websites right here on blogger!!!!! Thank you! I just did this. Your instructions were so helpful! This is exactly what I was looking for- easy directions. Flawless instructions. Thank you Sylvia! Excellent tip. Have incorporated it into our website. Thanks. 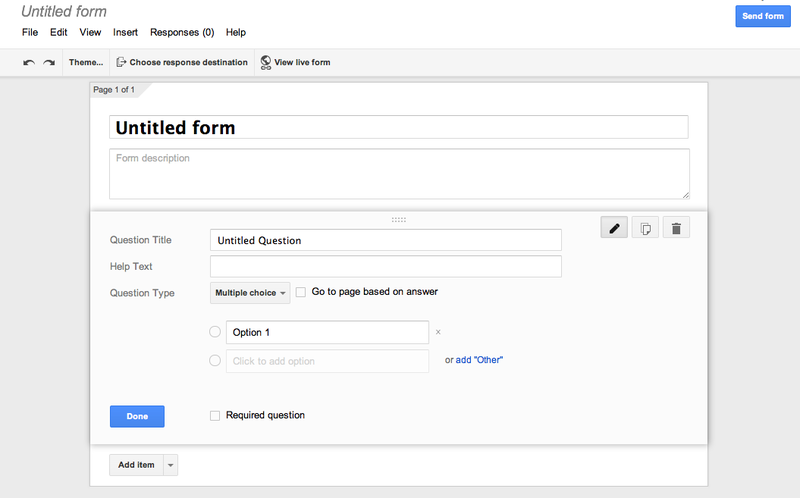 Only thing I need to figure out is how to get rid of the info on the response note asking the user to create their own form. Yeah, I just noticed that too. I guess that's the price of using free services like Google Docs; we have to put up with the advertising. At least it's pretty subtle. Hi, I've just created a form but does anybody know how to remove "This content is neither created nor endorsed by Google. Report Abuse - Terms of Service - Additional Terms"
The form would look much more professional if it could be removed. Thank You! I was able to create the page in like 5 minutes, Thanks to you! You're welcome, and thanks for stopping by! i Just Create in 2 minutes not yet publish as i need to master in tabbing just started my blog. don't know how to create better. pls help me and advice me. I checked out your blog. It looks like a good start. I would suggest moving the widgets that you currently have at the bottom of the page to a sidebar so people don't have to scroll all the way down. You can also check out my post, "8 Ways to Make a Blogger Blog Look and Act Like a Website" for other tips. Good luck! Thank you for putting this on your blog! I was searching all throughout google when I finally came across this post. This tutorial that you put up has really improved my blog :) Thank you again! Silvia, I just wanted to say thank you so much for all your helpful blogger tips. Thanks to you I have been able to make several changes to my blog for the better including adding social media icons and a contact page. Your step-by-step tutorials are so helpful for a beginning blogger like myself who is figuring out all this one step at a time (HTML?!). So thank you for sharing your knowledge! Thanks, Haeley. Glad to be of help. I'm basically learning as I go too, and thought people would appreciate learning the things I've found useful. Your blog has a nice clean look! this so helped : ) THANKS . Best help ever. You are helping me to accomplish my blog dream. I'm so glad. Hope it goes well! Hi Sylvia. I've been looking at other contact me form too but yours is easy and the best. Thank you so much. You have been a Godsend!! I owe most of my blog set up to you!!! Thanks, I will check it out. Do you have an example of a form made with this? Thank you so much! This is exactly what I was looking for and it works very well on my blog, http://thefrugalmum.blogspot.ie. Thanks a lot :) It works great ... what an idea ! Wonderful tutorial thanks - the only problem I had was trying to resize the form - I keep getting an error code. Did you have any problem with that at all? I haven't had that problem. Make sure you're working in the "HTML" form, and just change the number itself (nothing else, leave the quote marks). See if that helps. Otherwise, I'm not sure what to suggest. It looks great...love the colors and the layout. Very clean and appealing! Thanks the kind words, and your article helped me a lot. I request your suggestions. If you have any specific questions, please feel free to send them to me (use the contact form). It's hard for me to give suggestions at this point because it's such a new blog with a few posts. One quick tip: add labels to your posts so that readers can eventually pull up articles by topic. Was looking for it for a long time!Just in minutes I could creat it. Mmm. I'm not sure what to say. I'll try to send you a message on your contact form to see how it works. The message you sent me only shows up on the spreadsheet in google docs, I don't get a notification through my email...well thanks for trying! Hi Claudia, Did you do the last step, where you turn on the email notification? Also, since you are doing it through your Google account, make sure you are checking the email account you have on file or that you are using with Google. Hi Sylvia! I did the last step = tools, notification rules, user submits a form is checked and also email notification is checked, I saved. My email is the correct one and I even checked my spam box and nothing :/ I only see them in the spreadsheet. Sorry, Claudia! I'm not sure why it doesn't work for you. Here's a post at Blogger Xpertise that gives instructions on how to have Blogger email you the comments directly. I haven't tried this yet. Thank you so much for the detailed tutorial! Easy to understand and setup my contact meet page in minutes. Truly wonderfully done instructions! I was able to put this together in less than 15 minutes! Thank you so much for taking the time!!! Hi Sylvia! Thank you for this post. However, I'm going crazy here . 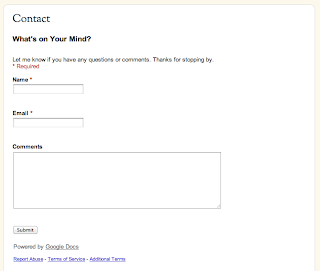 For some reason when I follow your steps my Contact form never publishes. I've followed your steps exactly and can't see my form when I view my blog. Shows up fine in preview but when I go live nothing. Anyone else experience this? I can't figure out what's going wrong. Hi Daniel. Have you made a separate Page for your contact page? 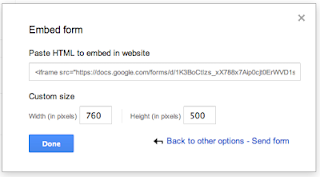 Go to "Pages" in your dashboard, then "New Page," title it "Contact Me" or something like that, and click on the HTML editing mode, then paste your code from Google Drive. Then go back to "Pages" and make sure you have "Show Pages as Top Tabs." Hope that helps? Hey Sylvia, thanks for this wonderful post. This is very useful and helpful, it helped me a lot to improve the view of my blog. As a novice it takes very long to learn these things but you did really awesome job with this post. Do suggest me some tips so that I can make it more dynamic and scenic to attract readers. Thank you for the easy instructions! 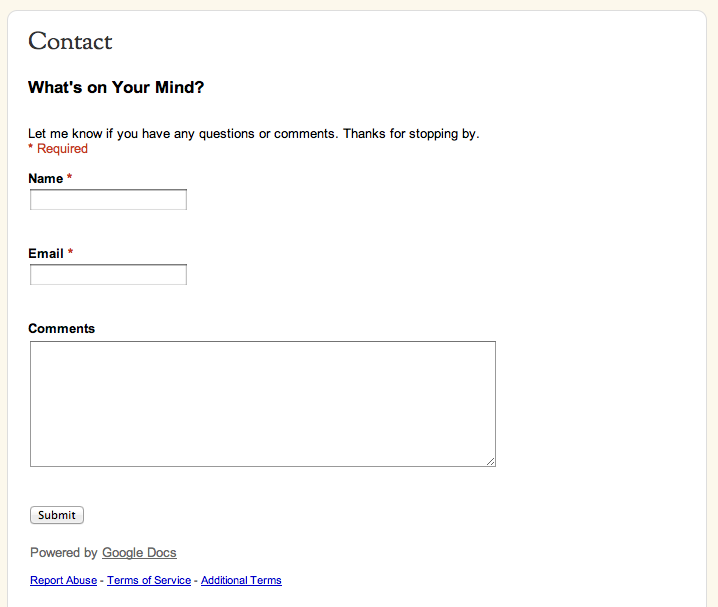 I did use this Google contact form and wasted a good part of a day trying to get this form to work properly. It filled in the spreadsheet and all but wouldn't send me the email. Yes I checked all the setting and redid the form to make sure it was set up right. I even posted the issue on their forums for these forms and no one responded to my inquiry either. I am leaning towards the idea that the problem was due to the fact I am not a "Google+" member. I want to keep my private life separate from my blog life and do not want Google+ membership. I was able to find Kontactr and install it in minutes and it works. It does have Captcha which I find a bit annoying but other wise it looks and works fine for now. Hi. I'm glad you found a way to work it out, even though these instructions didn't help. Sorry to hear that, and good luck with your blogging! Your site looks fine. 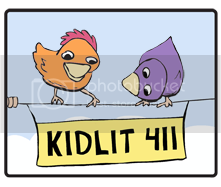 The one thing I might recommend is uploading a customized banner to make it more personal. 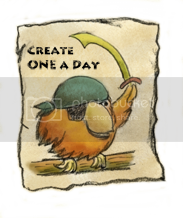 You can even just upload a photo cropped in the shape of the banner to add some additional interest. Thank you for your great help!! Thanks for stopping by. Your blog looks very nice. Thank you so much for this tutorial - everything worked great for me! But I was kind of expecting something to come in my email box that I could directly respond to. How do you handle things once you get the notification? Do you copy and paste their email address from the spreadsheet and send an email? I don't anticipate getting many messages (small blog), but was wondering what you do. Thanks again! Yes, it's a little cumbersome. So far, I don't have such a volume of questions that it's a big deal. Good luck! There is a way to do it, though I haven't tried it yet. Go to this Blogger Xpertise post which explains how to do it. Thank you! This is SOOO helpful! Thanks very easy to do ! Thanks, it helped me create a Contact Page :) - simple and super fast! Hi, it seems you have got a pretty decent fan following out there. Well anyhow thank-you blogging such a wonderful way to accept responses. But there is still this one thing we have certain limited themes to accept form responses, is there any tweak for that too or I would have to be abase with ones provided by google? For most of them are contrasting to Dynamic Views which I use in my blog. Hi Shalin, thanks for your comment. I haven't explored whether there are ways to tweak the comment form. If you figure it out, let me know. Sylvia thanks so much for you post. :) Very simple form and fast. its better to make form in jotform Jersey Indonesia .com you gonna check it out...!!! Thank you for putting this up, I was really struggling to write a contact page and this easy guide really helped! You're very welcome. Thanks for stopping by. I wish I could hug you!!! I am an amateur at creating websites, blogs, etc. and you have made this process SO SIMPLE I just can't thank you enough!! I've used 2 of your tutorials so far and am so proud of what I've accomplished in making my blog function as a website. You are amazing. God bless you. Thank you so much for stopping by. Glad these are helpful! Hi Svetlana, I could see the button. I send you a message via your contact form. Thanks a ton. I have created a Contact Us form on my blog and it is working. It is so simple and no coding needed. Thanks Sylvia. Thanks, Vivek. Glad it was useful. Thanks for this wonderful tip. This has been so helpful! Thank you for taking the time to write this. If you follow the directions above, you will get notified when a new comment comes in. You will click the link in your email and it will direct you to your Google spreadsheet. As long as you have asked for the person's email, you should be able to send that person a reply by email (copy and paste their email address into a new email). Hope that helps.